From airport shuttle services in Toronto to providing you with airport limo taxi services, Toronto Airport Limousine will offer you an affordable airport limo ride from wherever you are within the GTA to Toronto International airport. Along with providing you with airport limo services, our limo fleet offers you with a nice selection, including Lincoln Towncar, Lincoln stretch limousines and even SUV airport limousine services. 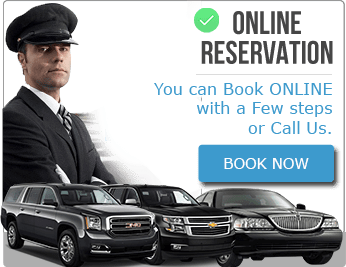 Along with providing you with Toronto airport transportation service and airport car service Toronto, we will make sure that your next airport limo service ride is one that is filled with luxury and we will get you to the Pearson airport on time. We also provide you with airport pick up and drop off services for corporate limo services in Toronto. We also offer you with Toronto wedding limo services and high school prom limousine services. Our corporate limo fleet services are great as we will work closely with companies looking for a limo service to offer clients with limousine services in Toronto and throughout the GTA. Offering Airport Limo Taxi services to all the Toronto city airports such as Toronto International Airport (Pearson Airport) as well as the Toronto Island Airport. Bus, taxis, shuttles, trains and limos are all forms of transportation. However, when it comes to choosing the mode of transportation, several things have to be considered. Ground transportation has to be made safe, secure and comfortable. If you have just landed at the airport, or need to get there in no time, good, elegant and sophisticated transportation is a must. Our limousine airport transportation delivers more than this to give you a memorable, serene and safe ride. Our airport transportation services are operated by the best crews in the industry. Starting with the chauffeurs, they are professionally trained, screened and experienced in taking care of all travelers. If you are looking for a reliable and all around the clock transport, our services will do exactly that. We possess all the qualities that a good transportation company has to have. Why you choose Toronto Airport Limousine? Time is the most important thing for all, and this is the reason why the limo chauffeurs ensure that your schedule is not overtaken by time. By making an early booking, you will get everything ready for you. The chauffeur gets at the airport long before the plane lands and when traveling back, they will get you from your hotel and to the airport in time. Travelers who use the service are provided with reliable, balanced and objective services that other companies cannot beat. Limousine transport is one of the top most expensive modes of transportation. Our rates differ in that they are highly transparent and competitive and they will not strain anyone’s wallet. Airport transportation service has been in existence for a couple of years now and by every other day, it gets better and better. 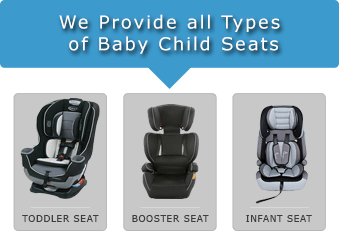 We understand that customers are different in terms of their needs, preferences and comfort. This is why we ensure that we give only the best employees to take care of you. Whether you are planning on traveling alone for business, as a couple for a honeymoon, with family for a vacation or with your company associates, all your needs will be met. We have different types and makes of limos that fit each and every occasion and number of people. Sedans, SUVs, hummers, party buses and Lincoln limos are some of our best vehicles that will facilitate your transportation. We have a 24/7 customer support that is ready to listen and make reservations for you. It doesn’t matter whether you are new in the area and know no one. Our services extend further to make reservations for you in hotels that will complement your needs. As you take a ride to and from the airport, make sure that you enjoy the free refreshments that are offered to guests. Whatever your airport transportation needs are; we will have them sorted. Let us know if there is anything esle we can offer you limousine services in Toronto for, maybe a special first date? We have the special limousine in Toronto ready to make your night memorable!